Recently I have been trying out the Nip & Man range. Nip & Man is the men’s selection of products from well-known skincare brand Nip & Fab. I had already been using the facial wash scrub, so was keen to try out the others. Here are my thoughts after using these for a few weeks now. You know that feeling when you come back from the gym or maybe playing football and you feel shattered and your muscles are hurting? The power workout fix is a great product to help you with this. The serum soothes your muscles and quickly de-stresses your aching limbs. As you would imagine from Nip and Man it also smells great so you won’t need to worry about the strong smell, like of other post workout lotions and is ideal for after you shower or bath. As the name suggests the scrubbing facial wash is an exfoliate that hydrates and cleans your face alongside fighting dryness. There is also caffeine included in the face wash which really helps to give your face some energy and also helps to moisturise and soothe your face from the daily grind. I really like this product and use it regularly, unlike other face washes I have tried it is easily washed off with lukewarm water and a face cloth. Ever feel like your face is not clean enough and needs a deep clean? The turbo face wash is a daily deep cleaning face wash that refreshes and revitalises your face. It is as simple as massaging the cream into your face in circular motions and rinse off. With the face wash I have found a little goes a long way and you won’t need to use loads or buy it constantly. It’s my new favourite aftershave lotion. The power lotion has a great smell, it’s very fresh and is perfect for the metrosexual man. The lotion is a cooling and soothing, with jojoba oil to help nourish and is perfect for when you want to cool down your face after a close shave. It’s a slightly thicker lotion than others so it does require slightly more rubbing in. If you struggle with dry skin or need a good moisturiser the power lotion can also help you. 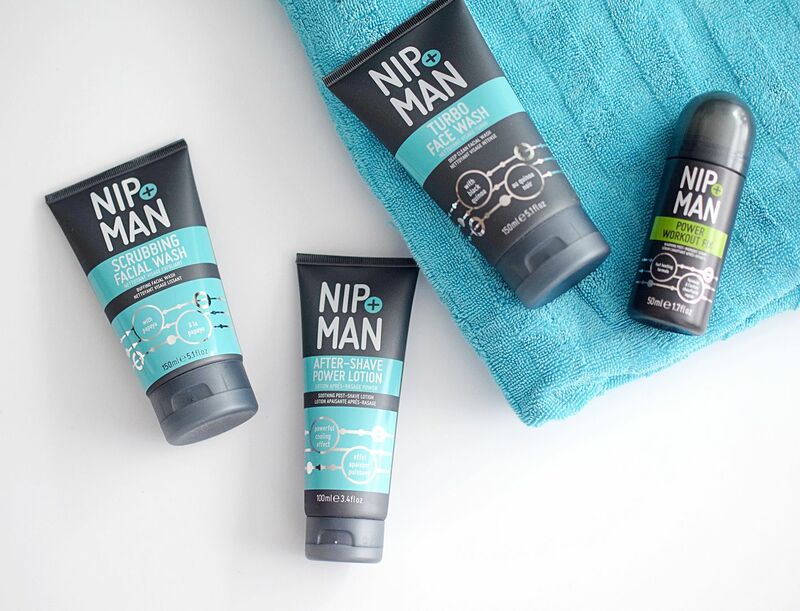 Nip & Man is available nationwide in Boots, ASOS and Superdrug.